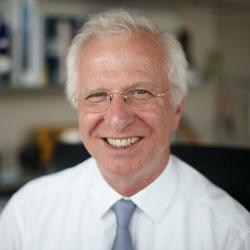 Prof. Dr. Dr. h.c. Udo Steffens was appointed the CEO and President of Frankfurt School in 1996. He is well known expert in the field of higher education in Germany and frequently comments in the national and international press on this subject, as well as finance and management topics. October 1st has been designated by the Donors and Foundations Networks in Europe as the European Day of Foundations and Donors. The aim of this day is to raise awareness for individual foundations as well as showing the positive impact these organizations make in our society and communities. The work of these foundations and their donors can be seen every day in the fine arts, education and research institutions, humanitarian aid, and everything in between. One of the more than 20,000 public-benefit foundations in Germany is our business school. 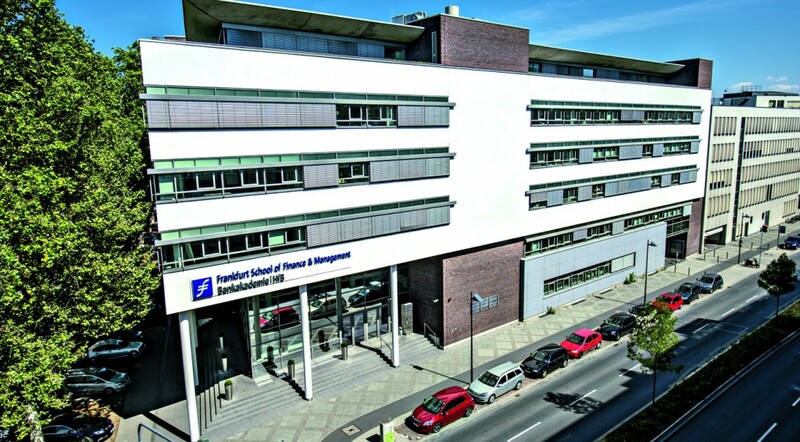 The Frankfurt School of Finance & Management Foundation, like the school itself, is dedicated to promoting scholarship, research and education, which includes assisting students as well as promoting intercultural understanding and providing development advisory in the fields of finance and economics, e.g. renewable finance or microfinance, management theory and education. Every year our foundation is able to make a difference in the lives of young people attending our school, our home in Frankfurt, and around the world. For some students and families financing their studies can be a burden; however, we are determined that financial circumstance shall not stand in the way of talented students receiving a world-class education. Last year, we were thankful to be able to award 55 scholarships that were either funded by our own foundation or sponsored by generous donors. These scholarships and the donors who support them make a lifelong impact on their recipients by enabling them to study at Frankfurt School and helping them to reach their full potential. By committing your support to the Frankfurt School of Finance & Management Foundation, by endowing a professorship or a scholarship, you are in turn investing in tomorrow’s leaders, researchers, executives, and entrepreneurs. Frankfurt School is grateful to have several endowed chairs; these allow us to realize our vision to be one of the most recognized research oriented business schools in Europe. These endowed chairs include the BHF-BANK Stiftungsprofessur für Private Wealth Management, Commerzbank-Stiftung Stiftungsprofessur für Mittelstandsfinanzierung, ConCardis Stiftungsprofessur für Bank- und Prozessmanagement, Deutsche Bank Stiftungsprofessur für Retail Banking, DZ Bank Stiftungsprofessur für Financial Economics, Fresenius Stiftungsprofessur für International Health Management, and the Dr. Werner Jackstädt-Stiftungsprofessur. Endowed chairs publish the results of their research in prestigious scientific journals, present them at conferences and regularly discuss them with representatives of the business world, academic peers, students and graduates, government decision-makers, non-governmental organisations and members of society. The benefactors of these chairs graciously allow us to advance our research efforts and address the most relevant and pressing issues in business, economic policy, management and society. We are extremely proud of our home, Frankfurt am Main, a city that is experiencing not only economic growth, but also population growth, especially amongst its universities. We have even already begun to outgrow our campus, although it is just 14 years old. This challenge has provided us the opportunity to expand into our New Campus, which is scheduled to be completed in 2017. Also challenging, is finding affordable housing in Frankfurt as a student. For this reason it was important, not only for our own students, but for Frankfurt in general, to renovate and open the Frankfurt School Dorms on the site of our New Campus well in advance of its completion. The 7.5 million Euro project provides housing for 228 students and helps, to an extent, to alleviate some of the need for student housing in our community. We are proud to be a not-for-profit organization and able to invest in the benefit of our students and society.